This is week eight of my thesis. A lot of cool stuff happened. I could fix all problems. There was a problem with the voltage measurement of the last cell caused by a resistor in the schematic. Another problem was one XC. The flash memory is protected by a password, although it's a brand new one. I couldn't crack the password or rest the chip, so I finally decided to solder a fourth board. 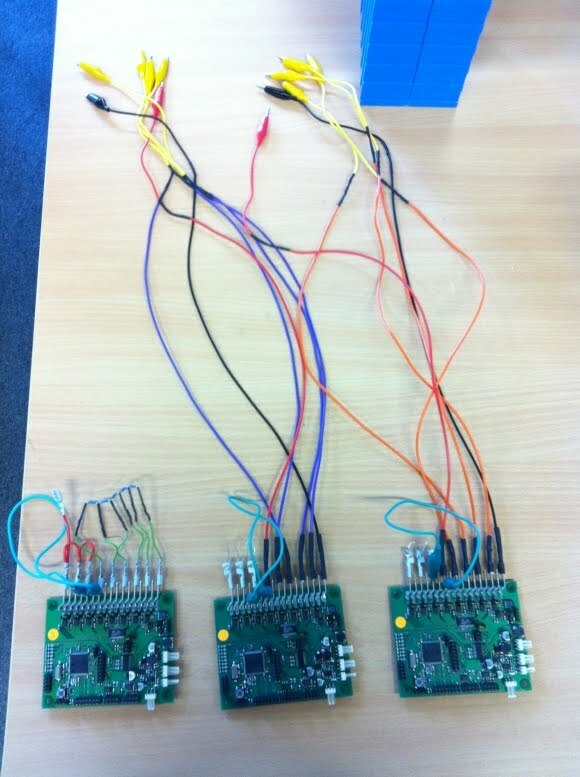 Now I got three working boards and I could finally start the first system test with all components. 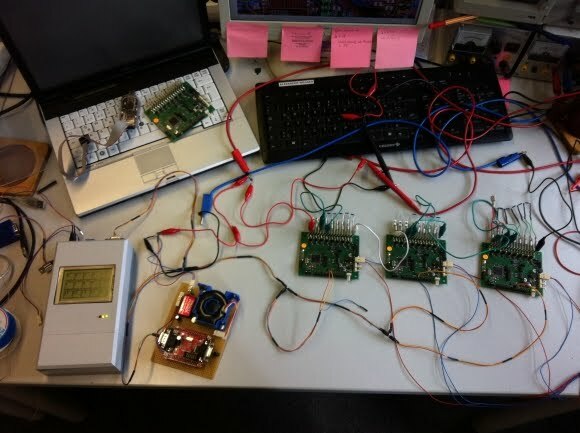 The BMCs, the LEM transducer and the display are connected via one CAN bus. 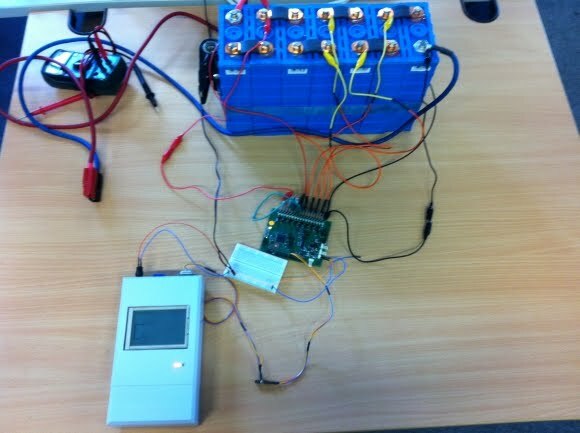 All BMCs had simulated battery cells with simple voltage dividers (five 100 Ohms resistors each). 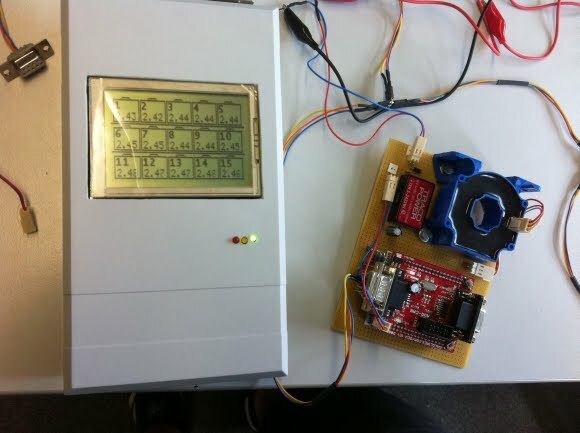 The display shows the cell voltages, which were measured by the BMCs and send via CAN. There were some small differences in the measured voltages of BMCs one. I could also fix this problem. It was caused by wrong pull up resistors for the optocopler. 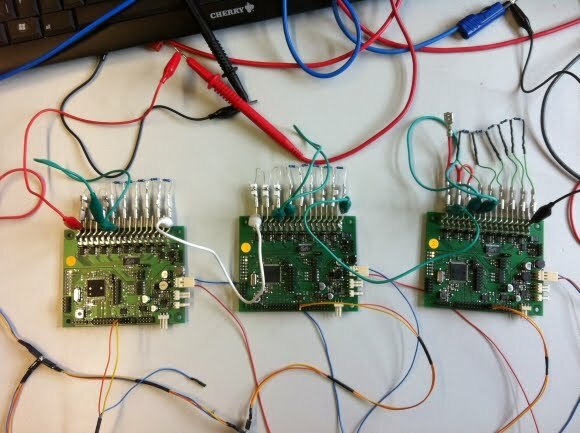 After this test, I could finally connect one BMC to a battery pack. The results were the same. I used simple crocodile clamps to connect to the cells. 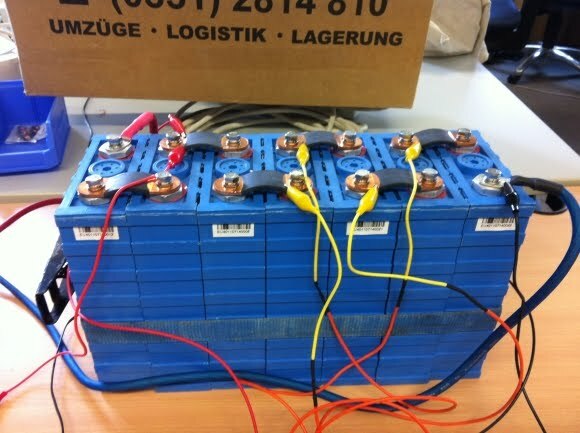 I used five LiFePO4 cells with 40Ah each (the cells in the e-car are equal to these ones, but with 180Ah). I'm currently loading more cells to test more stacks of cells and BMCs. This will happened next week. I've already build the cables. I also did some minor improvements to the CAN display. I added a ISP connector to the board and to the housing for easy programming. Next steps are to test all BMCs on real batteries and to add some features to the BMC's program (balancing, cell protection, over voltage, under voltage etc. ).